The shoe is good quality (more later) and lighter than I expected. The look is very solid and professional. The only reason I gave it 4 stars instead of 5 is some of the stitching along the opening for the tongue has worn a little since September of 2018. Also, one of the eyelets on each of the shoes have a split in the inner part of the eyelet. This has caused at least one of the laces to wear prematurely. From Muncie, IN Product Use Manufacturing office and weekly plant tours. Good work shoe for the money. The shoes seem very well made and are great value for cost. We appreciate your great feedback! This product wears great. After being used to this product I opt to use them in my daily life. The wear and feel of them is excellent and I enjoy them quite well. 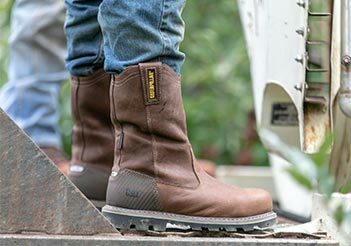 Knowing this product is made with the care and quality put into it, I am glad to use them and the feel and safety of them is as great as when I first tried my work boots. Having got these for Christmas, they're still a tad tight (not completely broken in yet), but like another pait of shoes I got they will get like that and be just as good. I recommend them highly. The old saw you get what you pay for is evident with quality craftsmanship throughout. Great comfort, fit and style allow your feet to do its stuff. 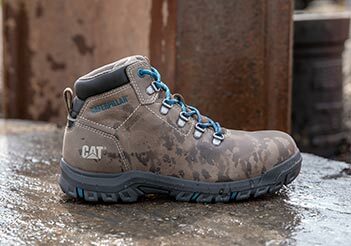 Absolutely waterproof and tough enough to tackle the most hostile of environments. From East Harlem, NY Product Use Traversing urban terrain effortlessly. We strive to deliver the very best! Thank you! Shoe is awesome. I am an electrician and my work requires safety toe and a defined heel (no flat soles). This usually meant I'd have to wear boots that weighed between 8-12lbs...all day. NOT THESE... 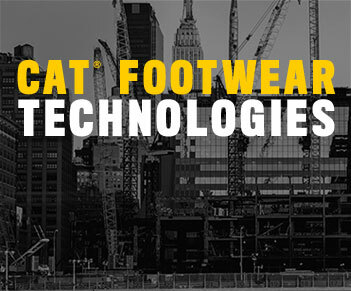 Very lightweight, great arch support built into the footbed. Meets all my work requirements and has an EH rating. Feels like I'm wearing regular everyday shoes. I was having lower back pains with my old work shoes, since I've been wearing these the pain is gone. Bought these 6 weeks ago and noticed after work today that both soles are broken through, wish I could post photos. Would not recommend for real work situations. We've reach out via email and would love the opportunity to help. You can also reach us at 866.699.7375. Thank you. 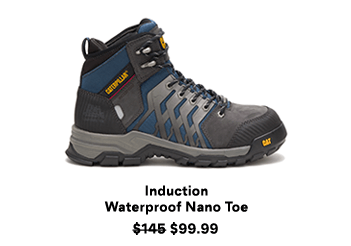 For steel toed boots these are really comfortable. They feel more rugged than past work boots I've had. Good grip on the bottom. And even though I wasn't sure I needed it, being water proof was a blessing when I unexpectedly needed it. Will be definitely considering buying a different style for non-work use in the future. Welcome to team CAT! Thanks for the awesome feedback! The shoe is great quality. waterproof and lighter than I expected. It keeps my feet dry, cause I get some water on me. When I added a pair of gel insoles, this really made them soft.. The look is very solid and professional. The only reason I gave it 4 stars instead of 5 is cause the right shoe developed a rubbing line on the back of my tendon, it seems like their is a line where the manufacturer made 2 pieces in the heel instead of 1 solid piece. That line caused a slight rub in the right shoe. I do a lot of walking though. But overall the shoes are very nice. We appreciate your great feedback. Thank you.